MARK W. KLEIN is a principal of Brody Wilkinson PC and a member of the firm’s Business and Real Estate Groups. His primary practice areas include mergers and acquisitions, business transactions, securities law, general contract matters, commercial real estate transactions, franchise law and entertainment law. Mr. Klein is admitted to practice in Connecticut. 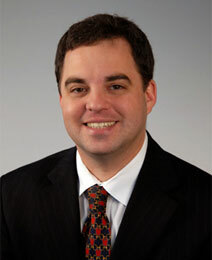 He is on the Executive Committee of the Connecticut Bar Association’s Business Law Section. He is also a member of the American Bar Association’s and Connecticut Bar Association’s Franchise Law Sections, the American Bar Association’s Business Law Section and the Greater Bridgeport Bar Association’s Business Law and Real Estate Sections. Mr. Klein was a member of the CUSA Regulations Task Force that worked with the Connecticut Department of Banking to propose revisions to Connecticut’s securities regulations. Previously, he served on the drafting committee for a comment letter submitted jointly by several American Bar Association committees regarding the SEC’s final crowdfunding rules. Active in the community, he has performed pro bono legal services for Volunteer Lawyers for the Arts and the Pro Bono Partnership. He graduated from the Bridgeport Regional Business Council’s Leadership Greater Bridgeport program. Mr. Klein received a B.A. in Public Policy Studies from Duke University and a J.D. from Fordham University School of Law. He also attended the Institute of Advanced Legal Studies in London, UK. Prior to joining Brody Wilkinson, he worked for a general practice firm in West Haven, Connecticut. Mr. Klein currently resides in West Haven, Connecticut.